BMI Property Management Program provides an energy management approach for all buildings, to insure they can meet the corporate goals for tenant comfort and low cost of maintenance. BMI can coordinate a team of resources, including outside electrical and mechanical companies; so as to insure all aspects of the energy management system is going to meet your corporate and tenant needs. Our clients find that there is no need to incur the cost of manpower, hardware, down time and the continuous learning curve involved in maintaining a fully functioning Energy Management Department. Our staff of energy professionals included CEM (Certified Energy Managers), certified EMS installers and field service technicians. We coordinate with any outside resources needed, anywhere you have a location. Our first step would be to provide services such as a Site Survey, Building Energy Audit and a Rate Analysis, where costs saving opportunities are identified. If anything needs to be done to the Energy Control System, we can evaluate the EMS Design and make system improvements if needed. Once we insure that each location is controlled, BMI provides a continuous program for system performance and ongoing cost reduction. Two key services that we offer are energy audits and Full Life Site Monitoring. The energy audit insures the systems are kept in top working order. The Full Life Monitoring service provides remote receiving and the investigation of alarms generated by the energy systems, looking at mechanical and electrical issues that arise. 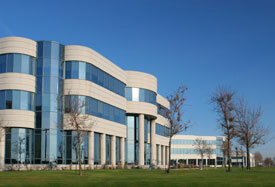 Our clients are committed to the goal of long-term sustainability of their buildings. BMI has the resources needed to identify and report what needs to be done to run the company’s energy using systems efficiently. BMI Energy can be an integral part of the organization and serve as their “Energy Managers”, in a working relationship with the Facilities Department.